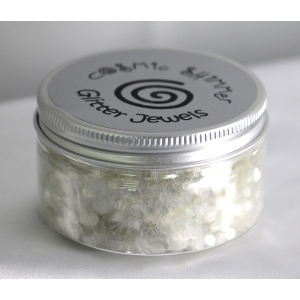 Cosmic Shimmer Glitter Jewels -Iced Flakes are glitter jewels that are a bit larger in size. Comes in a smaller size container as well (CSJ12). 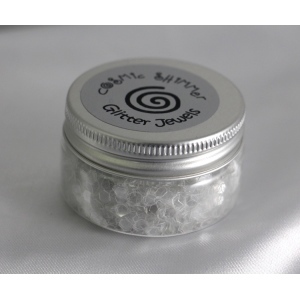 Glitter Jewels are glitter fragments available in a variety of grades and pearlescent finishes that add a frosty accent to all manner of paper craft projects. The Jewels can be applied to projects using Cosmic Shimmer Flake & Glitter glue. Can be mixed with paint, PVA, scumble glaze, embossing powders and many more craft mediums to add a nice glitter effect.